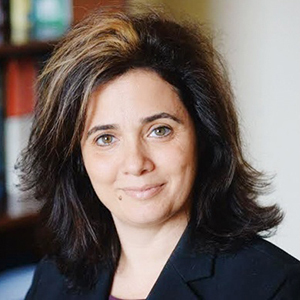 Professor Michal Lipson joined the Electrical Engineering faculty at Columbia University in July 2015. She completed her B.S., M.S., and Ph.D. degrees in Physics at the Technion in 1998 followed by a Postdoctoral position at MIT in the Materials Science Department till 2001. In 2001 she joined the School of Electrical and Computer Engineering at Cornell University. She was named Cornell Given Foundation Professor of Engineering in 2013. Lipson was one of the main pioneers in the field of silicon photonics and is the inventor of several of the critical building blocks in the field including the GHz silicon modulator. She holds over 20 patents and is the author of over 200 technical papers. Prof. Lipson held several leadership positions in the scientific community including, IEEE Photonics society board of directors member, co-organized numerous symposia and sessions in OSA conferences. She chaired and served on numerous committees including the Micro and Nanophotonics Subcommittee of CLEO, which she chaired 2006-2009. She has served as a topical editor (integrated photonics) for Optics Letters and served as a guest editor for IEEE Journal of Selected Topics of Electronics. She is currently serving on the board of directors for two international photonics centers, two start up companies and on the Rice ECE Advancement Committee. She is a co-founder of PicoLuz, a company specializing in nonlinear silicon photonic components. Professor Lipson's honors and awards include the MacArthur Fellow, Blavatnik Award, IBM Faculty Award, and the NSF Early Career Award. She is a fellow of OSA and IEEE. In 2014, she was named by Thomson Reuters as a top 1% highly cited researcher in the field of Physics.